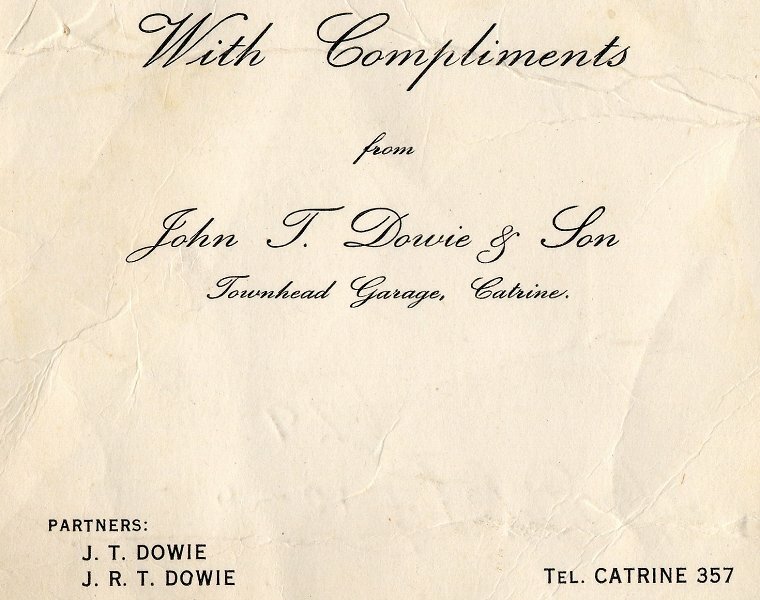 Catrine Farm / Nether Catrine/ Catrine House/ Catrine Bank/ Dowie's Garage/ Townhead Garage/ Stewart Place are some of the names this historical building has been referred to in the past. 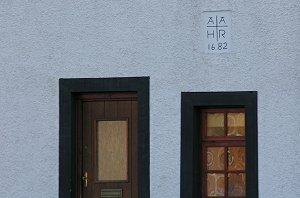 Or Professor Dugald Stewart's Hoose, where Burns dinner'd wi' a lord, (Lord Daer) on 23rd October 1786. 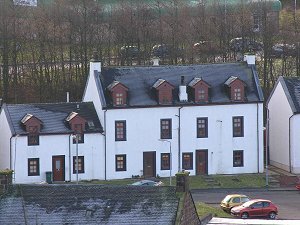 A couple of modern day images, taken Feb 22nd 2006 by Kenny, from the Braetaps, looking down on Catrine. 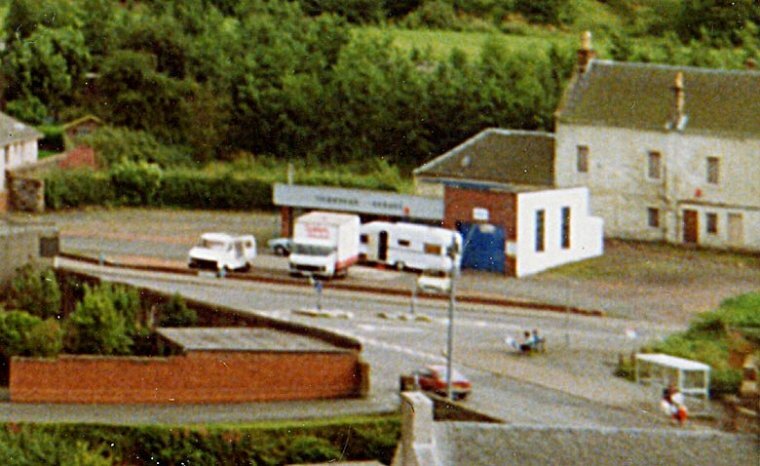 The gameshall is the large green shed directly behind Dugald Stewart's old house. 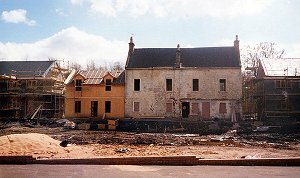 Left: A view from the back of the house, which was the front in Burn' day. 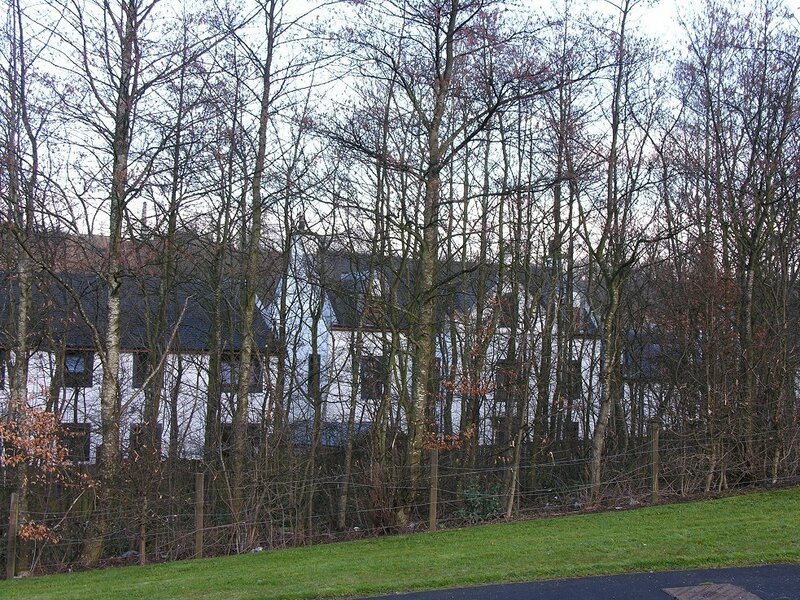 As can be seen, the scrub and brushwood screen the building off from the present day gameshall side, which was where the image was taken on 22nd Feb 06. In summer it is virtually shielded off altogether. Right: The plaque/ block with the date 1682 is on the present day front of the house, although it was formerly on the back. The above two images show what is now the front view of the old house of Dugald Stewart. 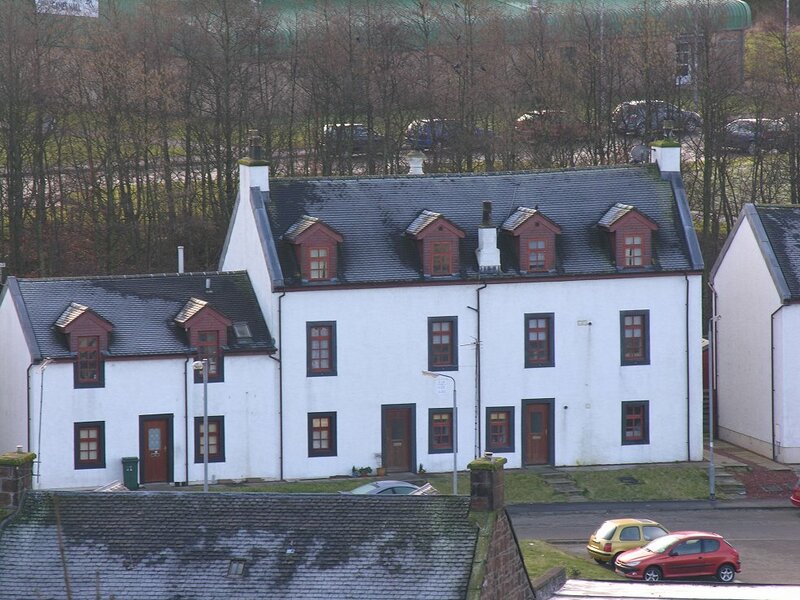 In Burns' time this would have been the back view, as seen on the second photo at the top of this page. 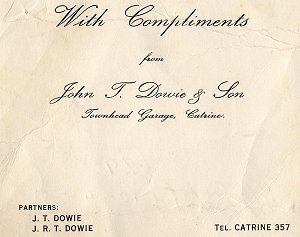 The image on the left shows the building as Townhead Garage, known locally as Dowie's Garage. 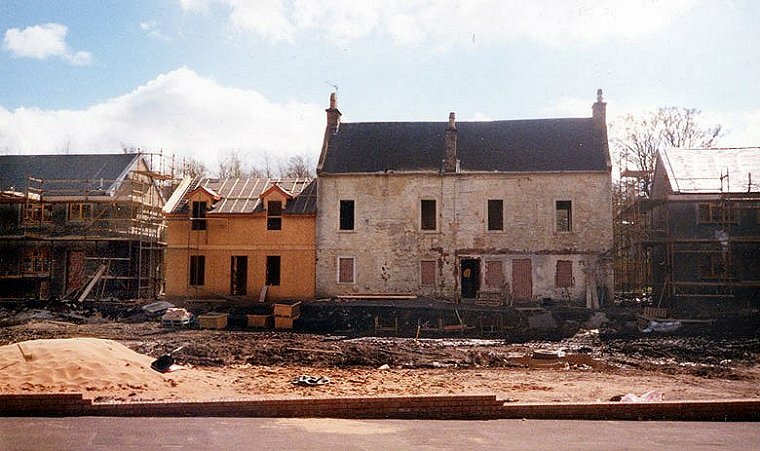 On the right, because of the historical importance of the house, it had to be preserved as part of any new development. 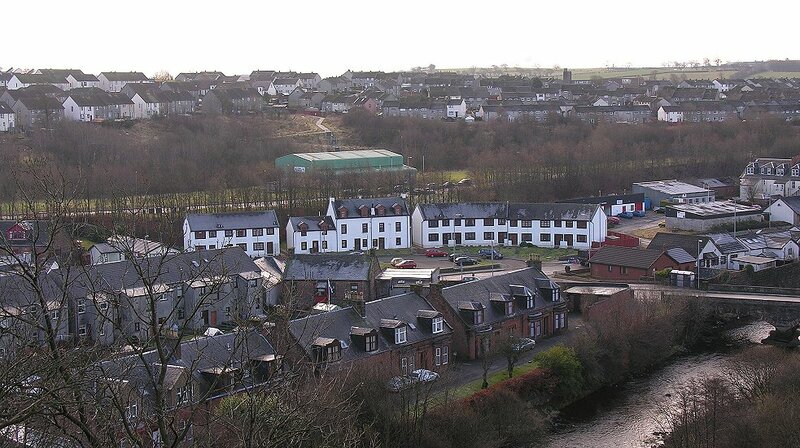 Luckily on this occasion there were no "accidents" and the structure remains as the new Stewart Place flats. 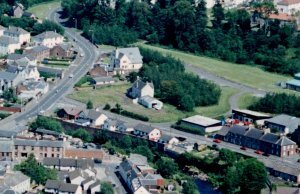 The image on the right was taken probably very late 90s, when under construction. A sample of the aerial shot seen elsewhere on this site, showing Stewart's house after Townhead Garage was demolished, but before the new Stewart Place was built. 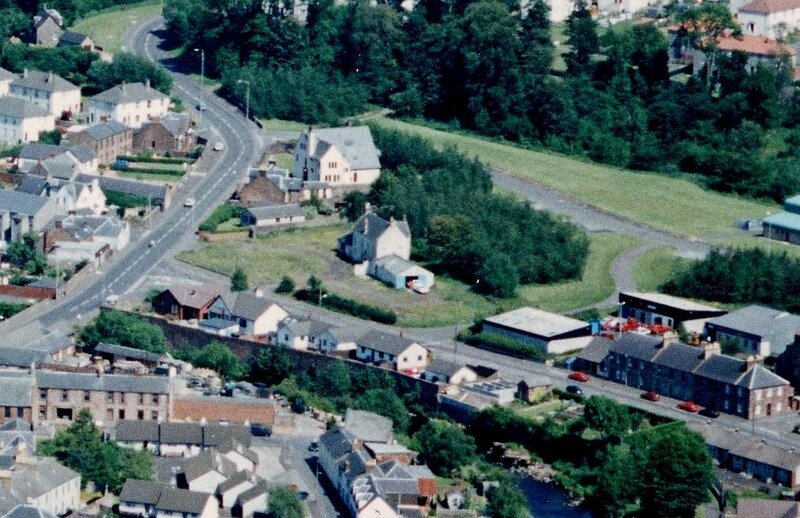 Right: The old Stewart Place, now long gone. 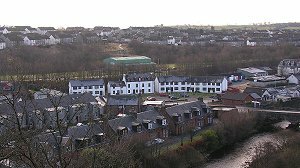 The housing development on the present day site, at the top of the page, is also called Stewart Place, named after Dugald Stewart. 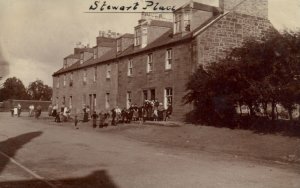 Click to see older views of the house, as well as Stewart Place from the Braetaps.